Buying or selling property in Box Hill brings it own unique conveyancing needs. Our team deal everyday with properties that involve a body corporate, shared titles and common ground. The contracts need to be looked at with a great eye for detail to ensure all of your interests are in the forefront and protected. Fordes is a trusted Melbourne conveyancing company with a specialist team of lawyers for your individual conveyancing needs. You can trust your property portfolio and real estate legalities to our team, we are very experienced in these sometimes complex property transfers. Box Hill is fast becoming the second CBD. In addition to education and medical districts located here, apartment towers are being built in the centre of the suburb. Bringing excellent investment opportunity and vibrant, diverse housing. The medical facilities include Box Hill Hospital, a large public hospital and private hospitals. The suburb is well know for being an education district, with Box Hill Tafe located here. The Tafe is the largest in the Eastern suburbs. Public transport is great with a train station, bus terminal and a tram line. 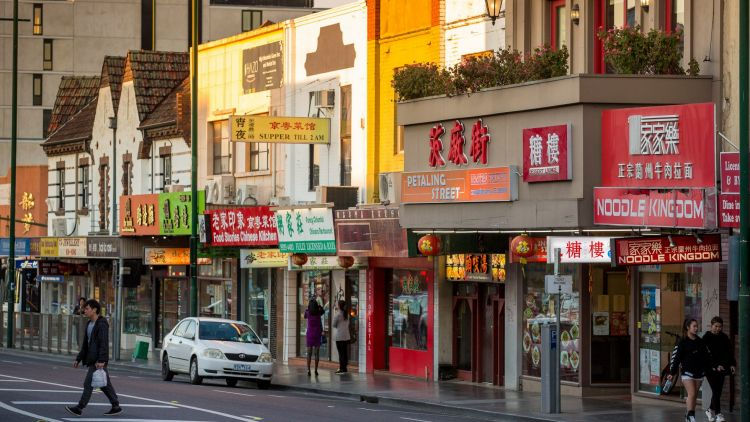 The leafy eastern suburb also has a fantastic and multicultural community. The shopping centre at Box Hill central, feels like a great Hong Kong market. The restaurants hold some of the best Chinese cuisine in Melbourne. The housing market is diverse, with many new apartments, along with town houses and large stand alone homes. The median house price is $1.4 million and $500,000 for apartments. Do you need conveyancing services for buying and selling in Box Hill? Fordes offers affordable and streamlined services that result in fuss free property transfer. We are a professional conveyancing and property settlement firm. We operate independently of any banks/financial institutions. Due to being a privately owned company your interests are always put first. As a result of our client first focus, we find our clients come back to us when they need further conveyancing help. Fordes provides services throughout Melbourne and our close location to Albert Park means we understand the suburbs conveyancing needs especially well. We have assisted many properties of the million plus value and understand the importance when dealing with these high value homes. At every step we ensure our clients meet their legal obligations and all the while protect their rights and interests.